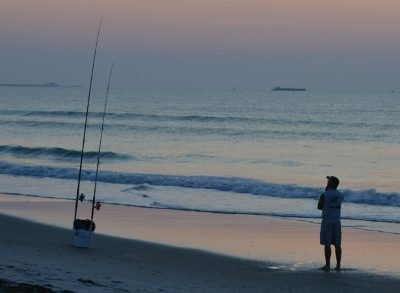 PORT CANAVERAL, Florida -- A study conducted by NOAA's National Weather Service found that 64 percent of lightning deaths since 2006 occurred while people were participating in leisure activities, with fishing topping the list at 26 deaths. Of the 152 deaths associated with leisure activities, fishing is followed by camping (15 deaths), boating (14 deaths), soccer (12 deaths) and golf (8 deaths). The remaining 77 people were struck by lightning while participating in a number of other leisure activities like enjoying the beach, swimming, walking and running, riding recreational vehicles, and picnicking or relaxing in their yard. Jensenius said the large number of fishing, camping and boating lightning deaths may occur because these activities require extra time to get to a safe place. “People often wait far too long to head to safety when a storm is approaching, and that puts them in a dangerous and potentially deadly situation,” he said. Ages of the victims varied from young children to older adults with the greatest number of fatalities between the ages of 10 and 60. Within that age range, there were fewer deaths for people in their thirties, possibly due to parents of young children being less involved in vulnerable activities. Between 2006 and 2012, 82 percent of people killed by lightning were male. June, July, and August are the peak months for lightning activity across the United States and the peak months for outdoor summer activities. As a result, about 70% of the lightning deaths occurred in the months of June, July, and August, with Saturdays and Sundays having slightly more deaths than other days of the week. Is Florida Lightning Capital of the World? No. As seen on the map below, a NASA study found that Rwanda in Central Africa is the lightning capitol of the world. But Florida receives more lightning strikes than any other state in the U.S. Nine people have died from lightning strikes so far in 2013: 3 in Florida, 2 in Illinois; and 1 each in California, Louisiana, Missouri and Texas. Of those three fatalities in Florida this year, a 51-year-old woman was walking on the beach in Bellaire, a 57-year-old man was fishing in a boat in Lake Okeechobee, and a 35-year-old man was climbing down scaffolding in Naples. NASA Graphic: Lighting Strike Frequency around the World. Frequent lighting strikes are such a dependable occurrence in Central Florida that lightning research has been conducted for decades at the Kennedy Space Center. 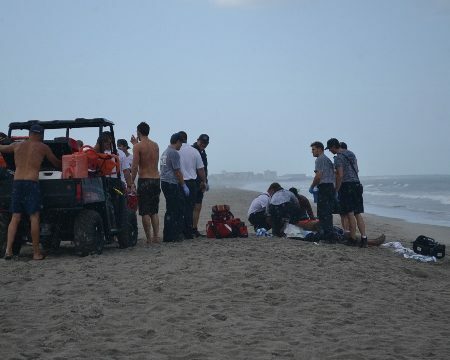 Just last summer, lightning struck very close to a man on the beach in Cocoa Beach, Florida. He survived his injuries. The best way for people to protect themselves against lightning injury or death is to monitor the weather and postpone or cancel outdoor activities when thunderstorms are in the forecast. Lightning can strike from 10 miles away, so if people can hear thunder, they are in danger of being struck by lightning. The only safe places to be during a thunderstorm are in a building with four walls and a roof or in a car. A hut, cabana, tent, or other rain shelter will not protect a person from being struck by lightning.